Wheee…..it’s been quite the ride over the last 10 weeks, and I can state for a fact that I’ve been living, eating and breathing the vacation rental business 16 hours a day, seven days a week. No matter how hard I work at not being hands-on, it’s tough not to be involved with 200+ emails each day and the telephone constantly ringing. There’s always something going on from general inquiries to guest issues; owner queries to tracking down left items. I also have two cottages of my own that are fully booked all summer, so every Friday and Saturday we have a changeover to do which adds to the fun. Each day brings something we’ve not encountered before, and as we are beginning to quieten down, I’ve begun to reflect on the nature of the beast and wanted to share a few insights from a very busy summer, as well as quite a few learning points. So, after a lengthy hiatus from blog writing and podcasting, there’s now a ton of stuff to catch you up on, and a wealth of new material to share. As I sift through all my notes, it’s worth mentioning that a lot of what we have learned as an agency with multiple properties applies equally to individual owners who are managing a single place, just on a smaller scale. To kick off my return to blogging and audio work here’s just a few of the patterns and trends we’ve noticed from this year. When I plan a vacation, it’s months ahead, and our family has always loved the anticipation and lead-up to the holiday almost as much as the event itself. Today’s vacationers don’t appear to have the patience to wait, and we’ve been dealing with significantly more last-minute inquiries than in the past – and that is same-day or following-day in many cases. Once we realized this was happening more and more, we became a little more savvy in when we started to discount and make special offers. In some cases we had multiple reservations for the same property for a last minute stay, demonstrating that lowering prices might not be a necessity in the future. It all depends on how much we were prepared to gamble that the bookings would come in. 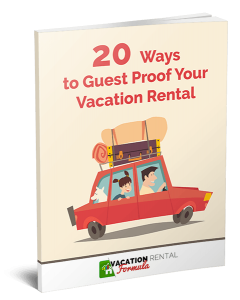 The attitude of many potential guests shows they expect hotel-like readiness and owners who were not prepared for last minute occupancy lost out on what was a significant market this year. In our area of Canada, cottages have always been rented weekly, usually Saturday – Saturday. As one of our owners said “that’s the way it’s always been” and she wasn’t prepared to change. That’s fine when the bookings come in quickly and early, but this year we found a trend to significant demand for shorter breaks – often at the last minute. The most interesting thing was that where properties were offering weekends and mid-week breaks, it was often the non-weekend periods that went first. Another movement was to Friday – Friday weeks, leaving an option to offer Friday to Sunday/Monday weekends and Monday – Friday short breaks. We have not yet gone for a completely flexible schedule given the traditional nature of our market, although this is the norm now in the off-season. As an agency with multiple properties, our inquiry rate is naturally going to be high, and we employed a local call centre to handle our overflow several years ago. Having inquiries going to voicemail has never been an option for us, and we wanted our calls answered 24/7/365. The volume of calls received between 9 pm and 3 am has blown us away this year, demonstrating that more people are expecting a real person to answer the phone at any time of day or night. 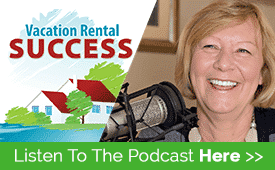 Of course, this won’t be an option for most people who just rent a single property, so think about updating your voice mail message more frequently, including a message that relates to vacant periods or anything you want to promote. Keep in mind our culture is becoming rooted in immediate gratification – when someone decides they want something, they want it now – so if you are able to satisfy that need, you’ll reap the benefits. Rental guests have become more and more demanding and this year has seen a rise in expectations to the point that we need to be a step ahead at all times. I’ve noticed that people tend to be less self-sufficient and resourceful than they used to, and need constant hand-holding to see them safely and happily through a vacation. A break-down of a dishwasher was seen as the ‘worst thing that could possibly happen,’ and a power outage that prevented mobile devices from being charged caused guests to leave a property and head back to the relative safety of the city. That same power outage after a storm gave rise to complaints that the owners had not done enough to get the electricity back on, and 3 hours was more than the guests would endure. I’ll be writing about more of this summer’s learning in upcoming blog posts, and would be interested to hear whether you agree that this industry is changing and what you are doing to meet the rising demands of our rental guests. Totally agree about the last minute situation, many requests this year for same day and next day occupancy. This type of guest really keeps you on your toes and reinforces the idea to not have the housekeeper wait to do the cleaning. Do the changeover immediately so you are always ready to welcome someone in, also needed is the ability to take credit cards with the last minute people. Rising expectations was noted this year also, we don’t mention all the “extras” we provide so just in case they are not there people hopefully will not be disappointed, so I was surprised when a guest mentioned the fact we didn’t have an amenity that most VR’s do not provide but hotels do… not sure what to do about that since we are not hotels… does go to show the changing demographics of our guests. Glad to see you are back to blogging Heather! Hey Wendy – great to hear from you. You’re right about the ability to accept credit cards – Paypal usually does a good job but the fees are high. What was the amenity you didn’t have? I’m curious.